W. L. Alden had a long career writing wacky stories, but he especially had a knack for churning out tales about cats! This week we are exploring some of his feline-itious output. Alden once called himself an 'honorary cat.' That very well be so, judging by today's tale, wherein a crafty sea-captain gets an idea to make a bundle bringing a thousand of the animals to Singapore in 'Pratt's Cats' from 1900. This one is a scream! W. L. Alden had a long career writing wacky stories, but he especially had a knack for churning out tales about cats! This week we are exploring some of his feline-mous output. Today's story is truly insanely funny! From 1896, we explore a great business opportunity that turns into a cat-astrophe! W. L. Alden had a long career writing wacky stories, but he especially had a knack for churning out tales about cats! This week we are exploring some of his feline-ical output. W. L. Alden had a long career writing wacky stories, but he especially had a knack for churning out tales about cats! This week we will be exploring some of his feline-ous output. We begin the week with a meteorological phenomenon -- 'Raining Cats' from 1877. Our Monday Book Serialization of Ella Cheever Thayer's 1880 novel 'Wired Love' features the Second part of Two of Chapter Three, 'Visible and Invisible Friends.' 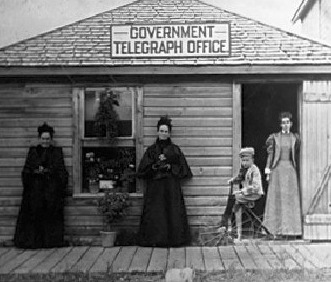 In this Chapter, Quimby introduces Nattie to Miss Archer at the telegraph office, where the two women discuss future technology and its impact on Romance. This chapter of this 1880 novel will utterly blow you away! Don't miss it! Edgar Wilson Nye's 1888 collection 'Bill Nye's Chestnuts' is a cornucopia full of funny stuff! Edgar Wilson Nye's 1888 collection 'Bill Nye's Chestnuts' is bulging full of funny stuff! SUNDAY SALAD has unexpectedly found what may well be the Last Stanley Huntley Spoopendyke tale that we will ever get to present in the Basement! 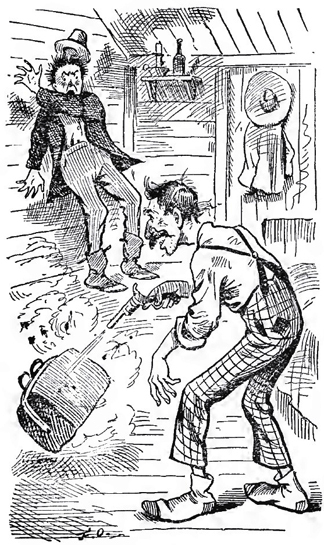 Our Saturday Night Special features a long, but wonderful story by Henry Cuyler Bunner from 1887. 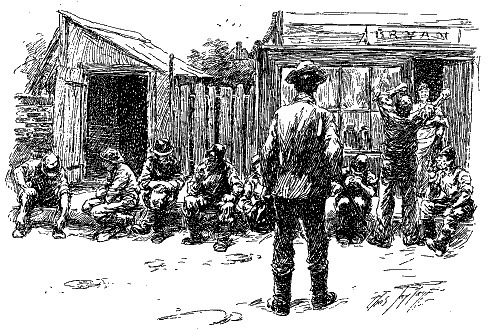 'The Zadoc Pine Labor Union' might be construed as a nineteenth century version of 'Forrest Gump,' but it is very different in many ways. This may have been one of H. C. Bunner's most popular stories published during his lifetime. In it, an ignorant hayseed from the Adirondack Mountains makes his way to New Jersey and begins a new life for himself. There are men who dispute what they do not understand. In today's story, our hero gets stuck on a high point in 'Mr. Coville Proves Mathematics.' This is definitely one of our funniest tales! Don't miss it! We also have a short 1896 preface by cartoonist Walt MacDougall. To read the entire piece, 'The National Joke' drop in to John Adcock's fun blog at http://john-adcock.blogspot.com/2009/08/national-joke_13.html . Our Monday Book Serialization of Ella Cheever Thayer's 1880 novel 'Wired Love' features Chapter Two, 'At the Hotel Norman,' where we meet Nattie the Telegrapher's neighbors.